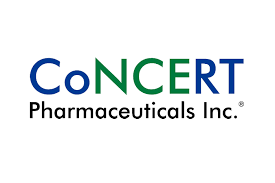 Concert Pharmaceuticals, Inc. today announced that it has completed patient enrollment of the final cohort evaluating 12 mg twice daily of CTP-543 in its Phase 2a trial for the treatment of moderate-to-severe alopecia areata. The trial previously enrolled patients to receive 4 mg and 8 mg twice daily compared to placebo. Data from the Phase 2a trial including the 12 mg cohort is expected in the third quarter of 2019. In November 2018, Concert reported positive interim topline results from the first two cohorts (4 mg and 8 mg twice daily) in its Phase 2a trial. The 8 mg twice daily cohort achieved the primary endpoint of ≥ 50% relative reduction in overall severity of alopecia tool (SALT) score from baseline at 24 weeks in 47% of patients compared to 8.6% of placebo patients (p <0.001). The 4 mg twice daily CTP-543 cohort had numerically higher responses than placebo but was not statistically better than placebo. Regrowth of hair did not appear to plateau at Week 24. Treatment with CTP-543 was generally well tolerated. No serious adverse events were reported. Additional information about the CTP-543 Phase 2a results is available in the Scientific Presentations section of the Company’s website. Alopecia areata is an autoimmune disease that results in partial or complete loss of hair on the scalp and body that may affect up to 650,000 Americans at any given time1. The scalp is the most commonly affected area, but any hair-bearing site can be affected alone or together with the scalp. The onset of the disease can occur throughout life with the majority of patients initially having symptoms by age 40. It is believed to equally affect both women and men. Alopecia areata can be associated with serious psychological consequences, including anxiety and depression. There are currently no drugs approved by the U.S. Food and Drug Administration (FDA) for the treatment of alopecia areata.